It is only a 5 minute walk to the fabulous Nissi Beach and ideal for family wedding parties at any of the big hotels in the area, or indeed in Gape Greko area. As well as the large private pool with plenty of outside space around it, and fully fenced in for more privacy, the complex also has a childrens pool and another communal pool on site. 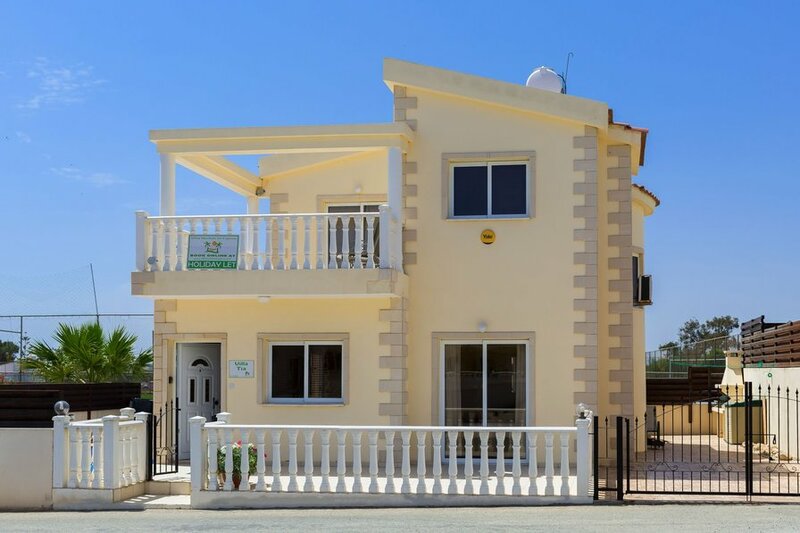 This Luxury villa is situated in a fabulous location in Ayia Napa, in the popular Nissi Beach area. The water park is within 15 minutes walk, Nissi beach is a mere 5 minutes walk, plus there are lots of lovely sandy bays all along the coast. Water sports are readily available in this area and there are plenty of small sandy beaches all along this coast. There are many shops and restaurants and tavernas with easy walking distance and a car is not necessary for these apartment. Nissi Avenue is served by a regular bus service, taking you directly to Ayia Napa centre or near to Ayia Napa Harbour. Also takes you to Protaras and Paralimni.